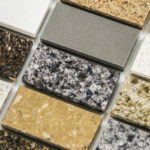 When the times comes to plan the kitchen in your new home or remodel your existing kitchen, the options are limitless. And yet, you must start somewhere, using your favorite inspiration to find your distinct kitchen style. As you scour websites and magazines, you can discover the designs that appeal to you. 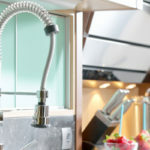 Now, you are on the way, but you’ll still have to narrow down the options to plan a unique kitchen that is all your own. 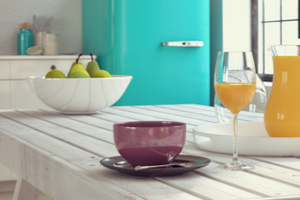 Let’s explore the ways to finding your kitchen style. Begin your journey of discovery by looking through magazines and on your favorite sites, creating a broad collection of kitchens which appeal to you. Don’t worry if they all seem to be different, eventually a pattern will emerge, but right now simply focus on what you like, the colors, styles, and accents that speak to you. Create an idea book or gather all your favorites into a folder. At this point, collect everything you like without trying to discern a pattern and with no editing. The goal here is inspiration. Once your collection is complete, you can begin to organize your likes, looking for similarities. You might discover a pattern at this point, but it still may be beyond your reach. 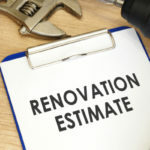 Look for color similarities, flooring matches, cabinetry or wood relationships, layout likenesses – all based on the elements that seem to call out to you the strongest. This is the beginning of your categorization, collecting your ideas into categories. Don’t be strict here, after all you are creating! You might notice you lean toward traditional styles, vintage designs, or modern patterns. You may discover that nearly all your idea images have dark hardwood floors or maybe you are drawn to travertine tiles. A kitchen island may be in many your inspiration photos. You could discover your adoration for banquette seating in the breakfast area or pendant lighting over your island. Make your categories fluid and broad – lighting, cabinetry, wallpaper, color, flooring, and so on. You’ve likely got a large collection of ideas, sorted loosely into categories. Now is the time to edit your ideas. Look back through each category and see if the image still touches you emotionally. You may find over the course of finding your style that your likes have now changed. If you look at an image and wonder why you saved it, toss it immediately without trying to figure out why then and why not now. If there is even minimal wonder as to why you saved it, you’ll want to get rid of it now. Keep only the images that still speak clearly to you on some level. You now have a collection of full kitchens that speak to you. This is the time to get down to specifics. Go through your idea collection once more, this time looking for your favorite elements specifically. What kind of cabinets did you prefer, custom dark wood, painted cabinets, glass front cabinets? Look at your images in light of that single item – cabinets in this case – and find the one style that you truly adore. 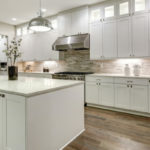 Do this for every element – hoods, appliances (each one individually) countertops, backsplashes, flooring, lighting, color, and so on until you have edited each element down to your personal favorite. Now, you are ready to discuss your ideas with your chosen design professional. He or she will guide you in the final selection for your kitchen, after listening to you, interpreting your style, and bringing specific choices to you for final approval in the design.